Water loss in the distribution system. Recovering energy from water running downhill (topographic energy). 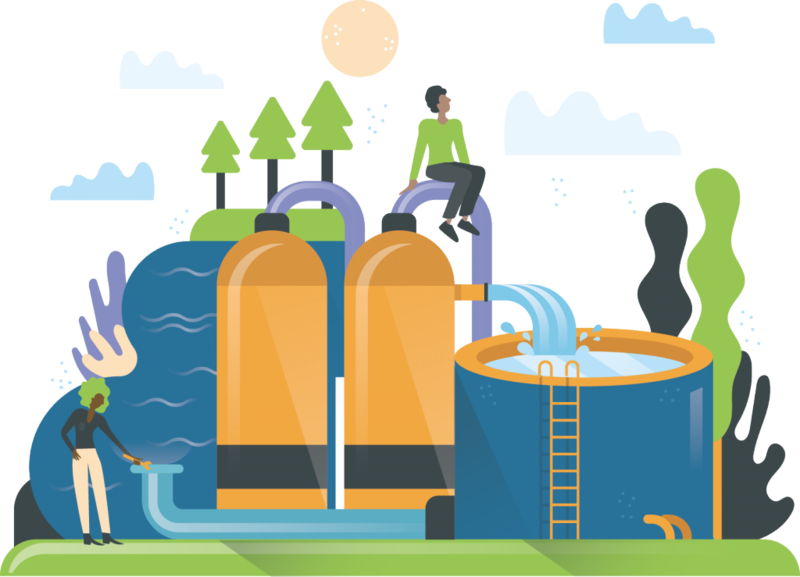 The volume of water distributed, and therefore the energy required, is driven by the demand of end users and how efficient they are in their water use. A pressure management area is a hydraulically discrete area which has the potential for reduction of excessive system pressures while still maintaining acceptable levels of service to the customers. For example, to supply water in a hilly terrain often high-water pressure heads are required at the pumping station. Without separate pressure zones, this can result in high pressures in low-lying areas, which increases probability of pipe failure. To supply water in a hilly terrain often high water pressure heads are applied at the pumping station. This requires however unnecessary energy and the high pressure heads in low-lying areas increase probability of pipe breakage. Hydraulic modelling of the network help to analyze constraints of the system and identify possible solutions. Use a water distribution system modeling software to assess baseline and future operation, optimizing pump operation to reduce energy consumption, and identifying and reducing water losses. reduce energy consumption and water losses. 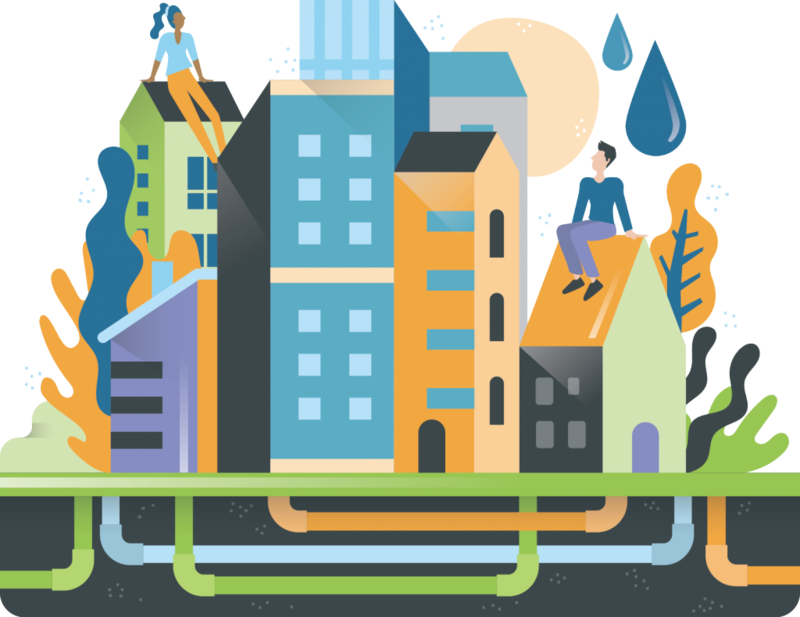 The timely rehabilitation/substitution replacement of pipes and service connections enables the reduction of minimizes the number of unplanned repairs and water loss in the water abstraction system; hence, its energy and GHG emissions. Proactive Infrastructure Asset Management aims at this. Control and mitigation of drinking water losses in distribution systems conducting a water audit.